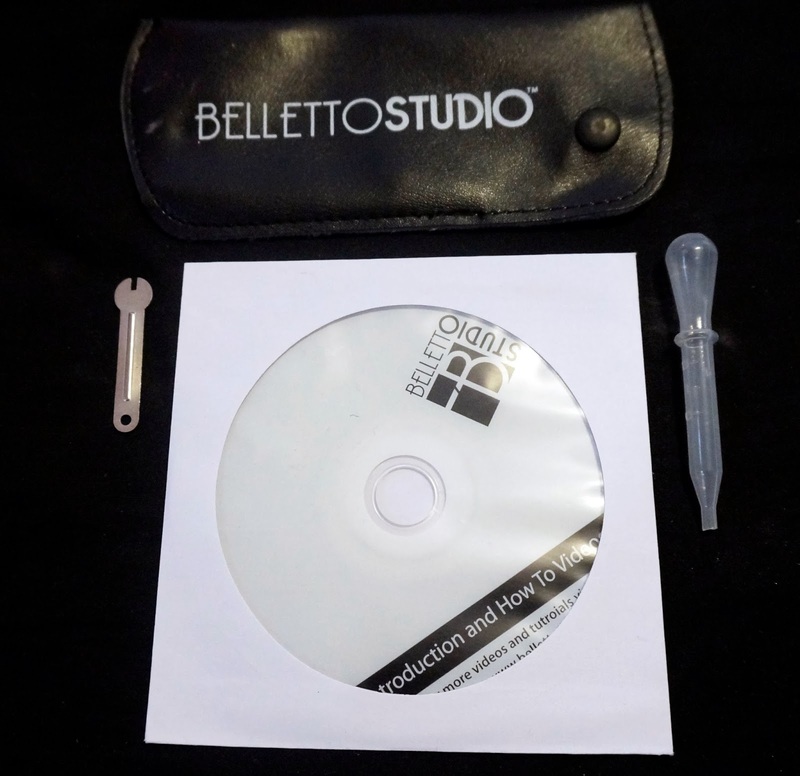 Belletto Airbrush Kit! Ultimate Skin Secrets- Starter Kit! 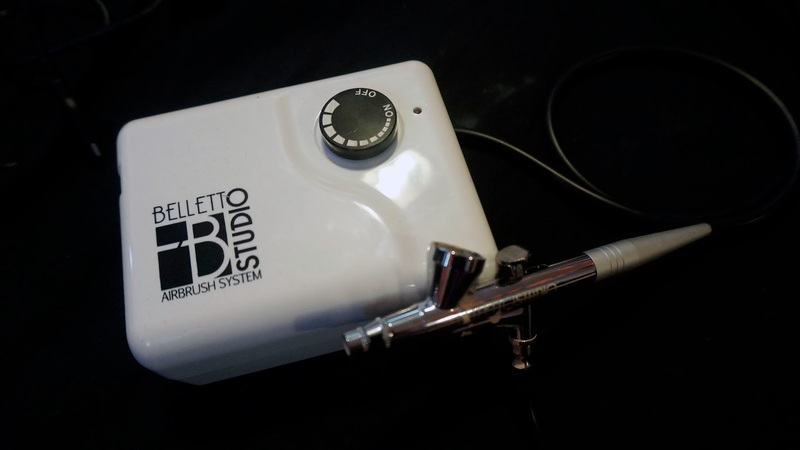 So a little bit ago I invested in a Belletto airbrushing kit! 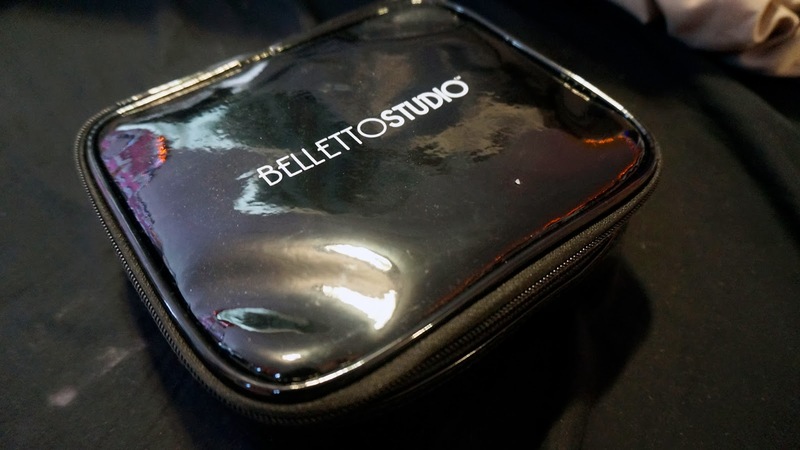 I had been using my Sephora brand airbrush foundation, the kind in the can that sprays out, and I had seen lots of beauty guru's on Youtube using the Belletto airbrushing kit, so I thought why not! Even better, PiinkSparkles had a coupon code (as well as many other beauty guru's) and you got a lot off! It comes with an cute carrying case, which also has a handle so it's super nice. These are the little extras it comes with. A water dropper for cleaning it, a wrench to tighten or loosen, and a how to CD, and a case for the air brusher. In this kit I picked, you received four foundation colours and a blush and the luster drops if you don't want to look matte. Unfortunetly from being shipped, moisture got it and the stickers fell off except two bottles. 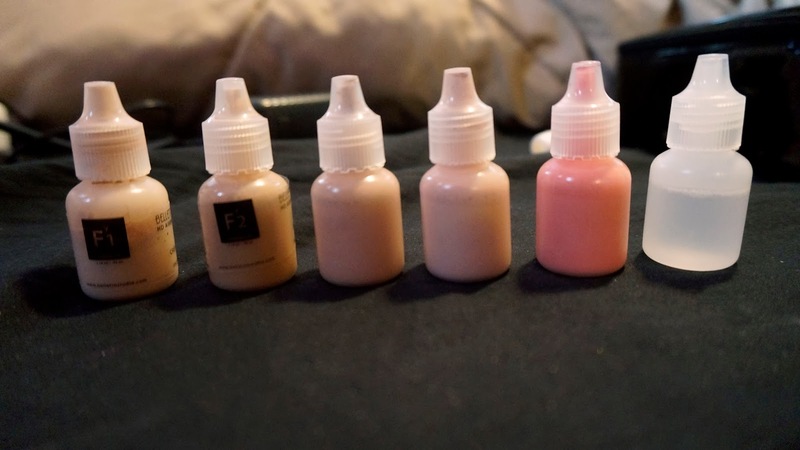 Luckily on the lightest yellow toned one which I use it didn't, and that is Creme De La, I can also probably use Brulee in the summer since it's a darker version. This is the compressed and the wand(? 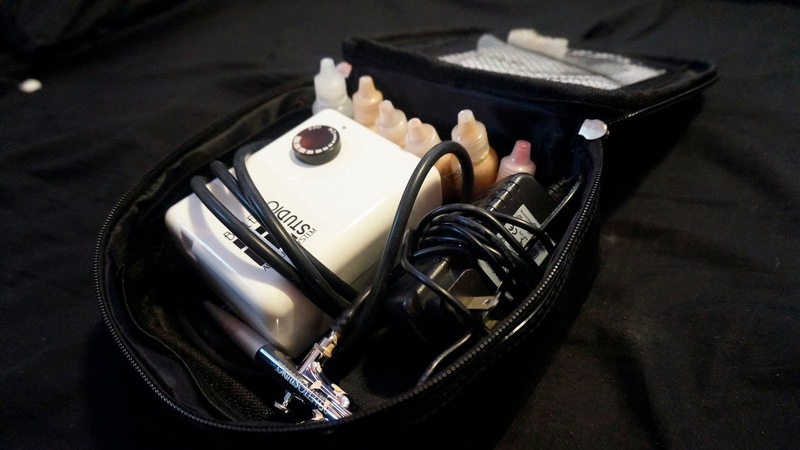 ), I really wanted a white compressor over the black one so that did help me choose which kit to buy. This is everything in the carrying case, as you can see it holds everything perfectly, and nothing would be moving around! So as you can see, they're pretty tiny, they're also not very loud at all! I definitely enjoy this and it really has made my foundation routine super easy and awesome, as well as flawless! I would definitely recommend, and remember if you are interested in buying one check out reviews on Youtube because like I said many people have coupon codes for a lot of money off! Mine came to $114 using the code Spark2 (from XSparkage)!